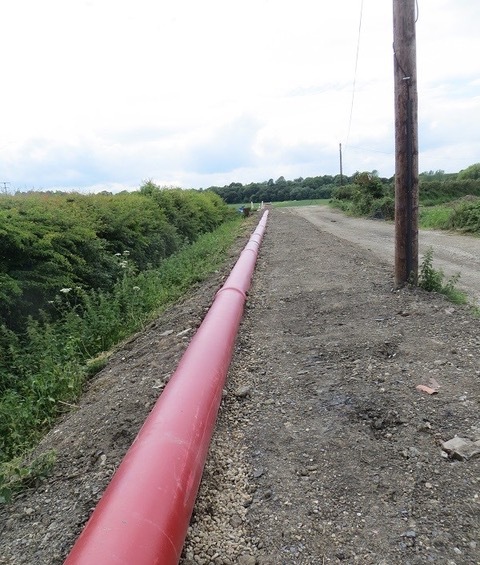 We are highly skilled in the successful installation and execution of complex Drainage Schemes of work, including Sewers, Foul and Surface Water Drainage, Land Drains, Storm Water Attenuation and Attenuation Shafts, Access Shafts and Section 104 agreement works. 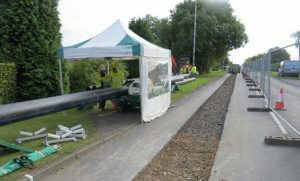 Indepth have an impressive reputation within the Civil Engineering Industry for the successful installation of deep drainage. We have carried out contracts up to but not limited to seven metres in depth with pipes ranging from 150mm-15000mm in diameter. We have also successfully installed both bespoke insitu pumping stations and package pumping stations for a number of clients, including pressure pump mains ranging in diameter from 100mm to 450mm and up to a 16 bar pressure rating. A new flap valve was installed at a sewerage outlet into the River Don. Works carried out: Erection of scaffold access to the river Construction of sand-bag cofferdam Removal of faulty existing flap-valve Installation using under-water diving techniques of a new flap valve Reinstatement of the surrounding area as requested by the client.